we offer you to make your distination tour in the hard of Tibet. 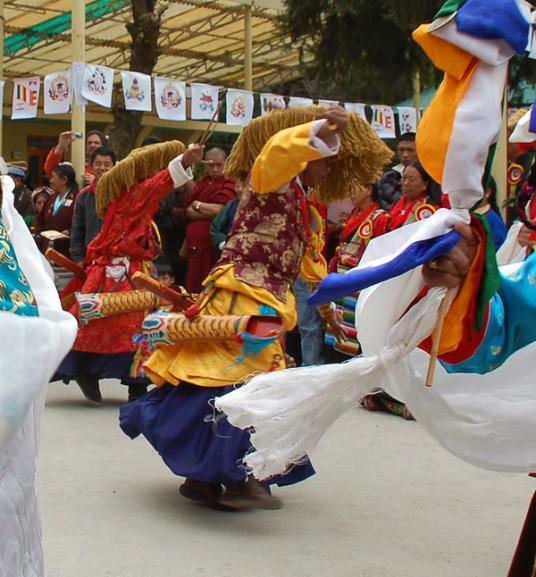 If you want to savor the rich Tibetan culture and history but don't have much time to spare, then this tour is tailored for you. Lhasa, the most famous among Tibetan cities, was the capital of the first Tibetan emperor Songstan Gampo. The city of Lhasa lies on the north bank of the Lhasa River, a tributary of the Yarlung Tsangpo River, at an altitude of 3,700 meters. Covering an area of 544 sq kilometers and lying at an altitude of 3660 meters, Lhasa is the capital of the Tibet Autonomous Region. Today you visit Yarlung Valley .According to ancient Tibetan history, Tibetan civilization originated from Yarlung valley. Over there you can spot massive burial mounds of Tibetan Kings. Today’s sights also include Tandruk monastery, a 7th century monastery, which holds a fantastic carved wooden altar, interesting relics and murals. Yambulakang, the castle perched dramatically on a pinnacle above the valley, is the oldest known dwelling in Tibet, reputedly the home of the Yarlung Kings. The view from the castle is awesome. The tour continues to the west of Tsedang, along the Tsangpo river on a boat to Samye Monastery. Samye Monastery, founded in 779 AD, is in a green valley among barren mountains surrounded by a village. Samye Monastery is one of the most imposing sights of Tibet. Built between 763 and 75 AD and modeled on the University of Otantapuri in India, it was planned as a representation of the universe. Traveling from Tsedang to Lhasa you stop at Mindroling, a 10th century monastery, rebuilt in 1676 and highly reputed for its contribution towards astronomy, astrology, medicine and calligraphy. The murals on the wall have special significance and show the typical Tantric arts. Another distinctive feature of Mindroling monastery is the fact that the monks who reside there can have wives and children. 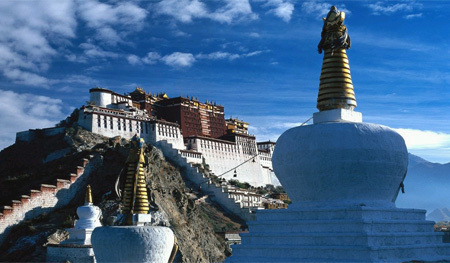 today you will be taken for a sightseeing tour to Lhasa. On your awe-inspiring visit to Sera monastery, you are introduced to the important aspects of Buddhism. After lunch, you pay a visit to Norbulinka, the summer palace of the Dalai Lama. Jokhang temple provides yet another exciting and educative tour. Wandering around Barkhor market is another major highlight of the day. In the morning, after breakfast, you will set off to view the majestic Potala Palace, which towers above the city of Lhasa. You get to see an overwhelming array of intricate Tibetan murals, temples, stupas, and the tombs of the eight Dalai Lamas. After lunch, you will be taken on a visit to beautifully landscaped Drepung monastery. At the monastery you can observe nuns and monks chanting and performing religious discourses. Today you will be taken on an excursion to one of the most beautiful places in Tibet, the Namtso Lake. In Tibetan, Namtso means 'Heavenly Lake.' It is one among the three holy lakes in Tibet. Namtso lake is at an altitude of 4720 m. It covers a vast area of about 757 square miles. The crystal-clear water of this lake and the scenic beauty of its surrounding are sure to leave you spellbound. Today you will be taken to two very famous monasteries, Ganden and Tsurpu. Ganden monastery was founded in 1409 by Je Tsongkapa, the founder of the Gelupka (Yellow Hat) sect. This monastery is the first Gelug monastery in Tibet. It lays 57 km east of Lhasa . Besides its typical Tibetan style, it is three times as large as Potala Palace. 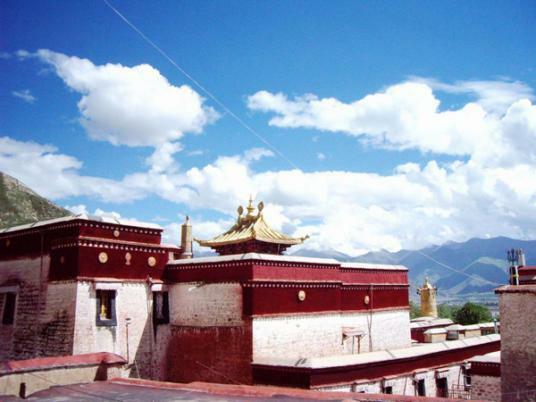 The Tsurpu monastery situated at an altitude of 4300m has a history of 800years. Located high in the tributary of the Tolung Valley, the huge temples and chanting halls of Tsurphu monastery has been rebuilt from the rubble of the Cultural Revolution. After passing through beautiful valleys and colorful Tibetan villages you arrive in the town of Gyantse. In Gyantse you will visit the Gyantse Dzong and Gyantse Kumbum. The Dzong is a fort dating from the 14th century. From there you can enjoy the spectacular views of Gyantse and the surrounding Nyang Chu Valley. The Kumbum is a large gold-domed Stupa and its many small chapels house an impressive array of Tibetan Buddhist murals. En route you will be escorted to visit Shalu Monastery founded in 11th century and noted for its 14th century murals which fuse Chinese, Mongol and Nepalese style. After exploring Gyantse, you will take a 90 km drive to Shigatse. Having driven to an average altitude of 3900 m, you find yourself at Shigatse, second largest city of Tibet. Tashilhunpo monastery being one of the largest functioning monasteries in Tibet is a major attraction of Shigatse. After hearty breakfast at hotel you will be guided to explore the local market and the Tashilhunpo Monastery. This monastery is one of the largest functioning monasteries in Tibet and there is much to explore within its high surrounding walls. After detailed visit of Shigatse you will drive via shorter road to Lhasa. The Drak Yerpa caves are about an hour’s drive to the northeast of Lhasa. Songtsen Gampo meditated here, as did Padma Sambhava and several of his disciples. The site is strongly associated with Jowo Atisha and the early Kadampa masters.